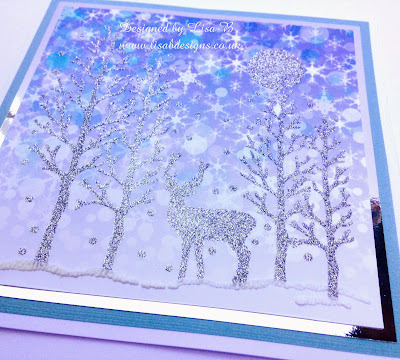 Good morning, I hope everyone is having a nice weekend, Kirsten here with another of Lisa's November projects, This one looks terrific & couldn't be easier to make. 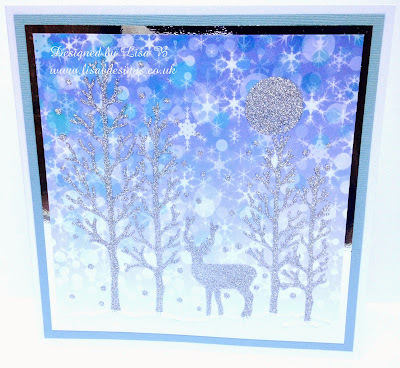 Lisa use Imagination Crafts The Clearing stencil, silver Sparkle Medium & Blue Snow background paper. She matted & layered with silver mirri card & a coordinating shade of Core'dinations card onto a white 7x7 card blank. That's it for today. 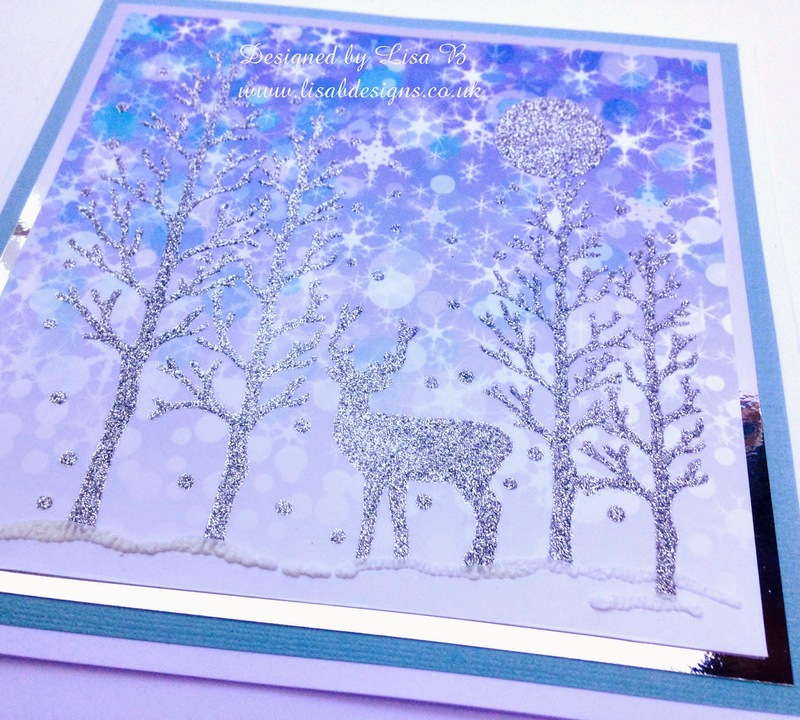 I shall be back on Tuesday with another of my November projects.